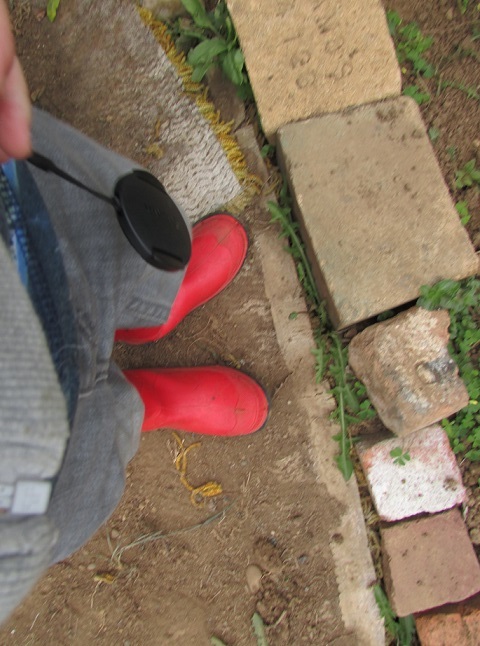 A pair of Wellies, even on the wrong feet, and a dash of interest are all your kids need to start gardening. My older son loves hanging out in the garden with me. Some days, being in the garden with me is better than riding his go-cart (not all days, but there have been a few). While he has his own gardening tools that he uses to help me weed between the crops and plant seeds and harvest the fruits of our labor, most of the time he hauls in a few trucks and goes to town in the bare areas of our strawberry patch. Sometimes his diggers and construction trucks create a worksite; other times his monster trucks are on the loose. What matters is that he’s outside and using his imagination.The garden is a natural place for kids to play and explore. It has everything—dirt, plants that can easily double as a jungle and a myriad of cool bugs that fly or crawl. Even if it doesn’t seem as though your son or daughter is interested in playing in the garden now, there are ways to get them involved. Include them in your tasks. Although my kiddo is careful not to trample on the onions while he’s bombing around the garden, there’s not a whole lot that he can do to wreck the garden. Now he may seem like the rare little boy without destructive tendencies; however, his carefulness boils down to the sense of ownership that he has over the garden. He helped me plant nearly everything that’s growing. He schlepped rocks across the courtyard and helped me align them to separate each garden. He held beets and carrots for me while I harvested snap peas (and ate a ton of said snap peas before we could get them into the house). And, he’s the master of the garden hose, which I’m hoping will translate to the toilet as well. The bottom line is, he’s comfortable in the garden and knows that I trust him enough to help me. If the thought of your son or daughter running through your prized tulips makes you break into a sweat, designate a patch of dirt for your child to plant seeds, tend plants or just shovel dirt. Let them do what they want with their patch to give them a bit of ownership over it. Tap into their love of science. Kids are natural scientists. They want to know how the world works and aren’t afraid to experiment in order to learn more. Although science class in school is fun, it’s way more fun to learn science from the garden and the natural world. What better way to learn about genetics than by planting seeds? Or understand chemistry than by feeding plants natural or chemical fertilizers? What they learn will help drive home their lessons from the classroom and help them grow delicious tomatoes in the future. Still have reluctant kids? Start slow. You can’t always compete with Team Umizumi or the latest video game. If you want your kids to get gardening, start them with a cup of dirt and a few seeds. Once the plant starts sprouting, help them transplant it into the garden. Have them choose what they want to plant so that they’re more likely to want to care for it.